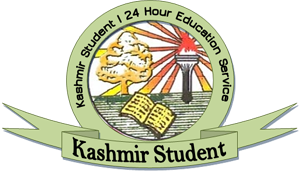 The Jammu and Kashmir government had drawn flak over its decision to not extend the summer vacations in Kashmir schools despite the sweltering temperature. Nighat Jahan, who had come to drop her kindergarten daughter to a school, seemed overtly joyous. She said her daughter had fainted when schools started after vacations on Tuesday. “We didn’t send her after that. Even though she studies at a good school it hardly has any facilities to counter the heat,” says Jahan, who works with a bank. While after a 10-day summer break Kashmir schools did open but it brought trouble for children. Reports said many fell unconscious during the day as they were fasting for Ramadan. 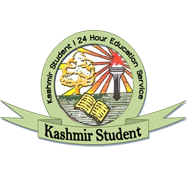 At Kashmir’s one of the oldest schools, reports said at least twelve children fell unconscious due to scorching heat. The incidents have again flared the debate over the lack of infrastructure at both government and private schools in Kashmir. While many think that private schools may be better, but a reality check states the contrary. “One would think and expect better facilities at private school but in this temperature which the people are not used to a mere fan in a class room of 40 children is no good,” said Ali. The state government has been under criticism for being rigid over the issue. Several parents had even requested chief minister Omar Abdullah, who holds the education ministry, to extend vacations by few days. But the education department declined the request. It gave no reason behind the decision to not extend the holidays. Children especially in higher classes happen to be fasting in ongoing month of Ramadan—a fact which the Government overlooked. The decision was vehemently criticized by the parents. The criticism even came from a top resistance leader Mohammad Yasin Malik who accused the government of being shameless. Malik claimed that the extension was not given to ensure children participation for the August 15- India’s Independence Day celebration. The Government has been accused of playing politics over education as it has left no stone unturned to ensure schools remain reopen during shutdowns and curfews. As it rained today parents were seen taking their wards home under the cover of umbrellas. Many children had their raincoats on. “It is so pleasant today. It was hell yesterday,” said a student, Imitiyaz Zargar.